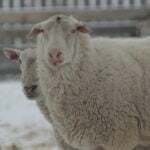 Manitoba’s feed supplies are running low, with little to tide producers over after a dismal harvest last year and cold weather in January and February. 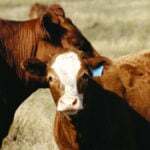 Ration plans already left little margin for error, said Ray Bittner, Manitoba Agriculture livestock specialist in the Interlake. Producers in the northwest, which had better moisture and hay harvest last year, may have some surplus, but extra feed is at a premium elsewhere. Why it matters: Provincial experts are worried that short feed may translate into premature turnout, poor nutrition and potentially big hits to the next calving cycle. “There’s almost nothing to buy,” Bittner said. Forage growers reported half or less their normal harvest in many parts of the province last season. 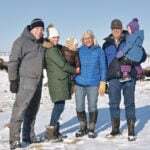 After a mild December, winter took a drastic turn into 2019, with temperatures regularly dipping below -30 C in late January and February. Farmers now say that cold stretch hit hard at feed as nutrition requirements spiked. Manitoba Agriculture estimates that cows may need as much as 30 per cent more feed in winter conditions, and advises that grain-fed cattle get another pound per head per day for every 10° below -20 C.
The Interlake’s weather last season has not helped matters, Bittner added. Areas around Ashern were among the province’s driest in a year that already reported drought-like conditions through much of the province. There was little grass left on the pastures going into winter, and Bittner said he suspects that regular cattle turnout could get delayed 10 to 15 days this year, despite spring run-off. Winter snowfall in the area will help, he said, but he said the run-off will not totally replenish groundwater without healthy spring rains. “Talk to a nutritionist. Every nutritionist will agree that during the breeding time is not the time to cut corners. 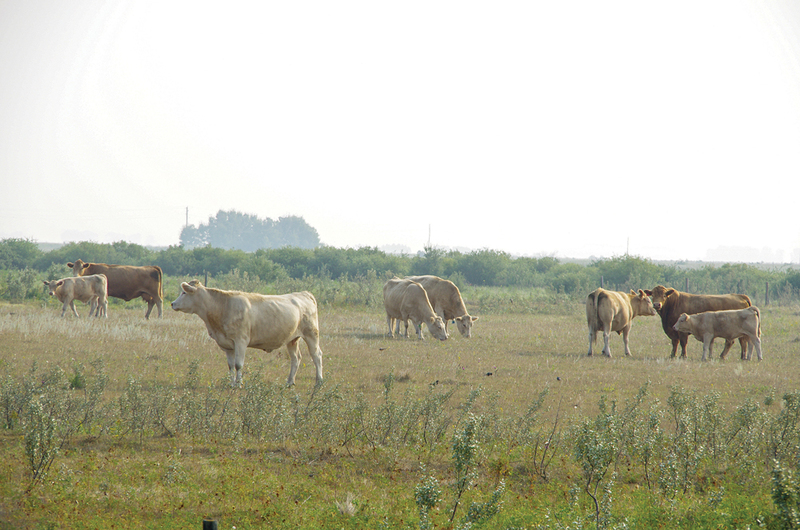 It’s not the time to let the cows out onto a golf green.” – Ray Bittner, Manitoba Agriculture. There may be some hay left from growers who held off selling bales in fall, Thornton said. She has heard of several new bale sources coming up for sale in recent weeks. The past year has been hard on the stockpiles that beef producers typically keep in house, she added, and those farmers will need a good forage year in 2019 to avoid a shortage. Darren Chapman, a Virden-area producer and chair of the Manitoba Forage and Grasslands Association, said he will be selling bred cows and will be cutting back on backgrounding steers for sale this year, although he expects to have enough feed to weather the next few months. 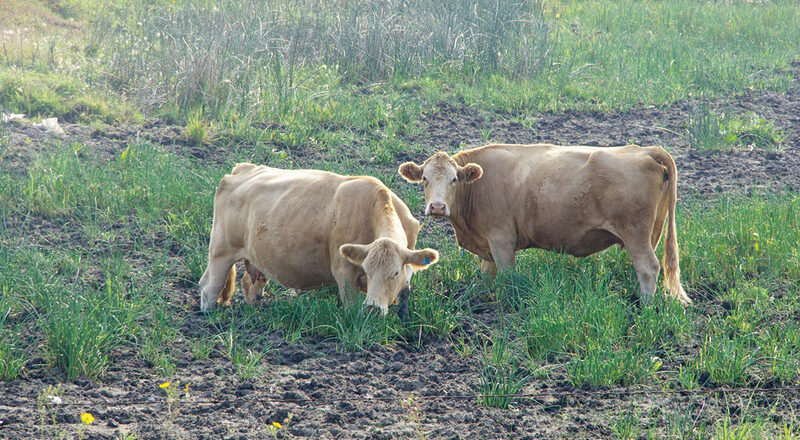 Bittner advises producers to have a “sacrificial pasture” ready to get cattle turned out early. “Come to the expectation that it may provide you 10 days or so of feed, and supplement with grain while they’re out there and expect it to be just about black and almost unusable for almost the remainder of the summer,” he said. Breeding problems on the horizon? 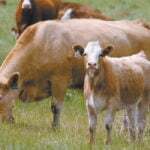 Some of the worst effects of the shortage may not emerge until the next crop of calves. Both Bittner and Thornton warn that lean feed might mean underconditioned cows going into the breeding season. A cow turned out on insufficient pasture may be less likely to perform if grass is slow to come between May and June, as it was last year when cattle were delayed due to cold weather and poor regrowth. Underconditioned cows risk lower conception rates, higher abortion rates and longer intervals before becoming fertile again, says the Beef Cattle Research Council (BCRC). According to the BCRC, a cow with a body condition score of three (neither under- or overconditioned and solidly in the middle of the five-point body condition scale) averaged 59 days between calving and her first heat. If that score drops to two the average interval jumps to 88 days, longer than the 80 to 85 days the BCRC estimates that a cow has per year to cycle and rebreed. The same research warns that a cow will add another 20 to 30 days to her postpartum interval if she loses body condition between calving and breeding. According to the BCRC’s online calculator, a one-point drop from that three-point body condition score will also drop conception rates from 94 per cent to 80 per cent, increase abortion rates from 1.6 per cent to 2.5 per cent and jump stillbirths from 2.7 to 8.2 per cent. Immunity may also become an issue. The BCRC pointed to trials out of Saskatchewan, which found that cows with a body condition score of three or more had calves with up to 19 per cent more immunoglobulin G, the critical element of colostrum.